Wondering how Nintendo's newest piece of portable hardware stacks up to their older pieces of portable hardware? Via Nintendo of Europe, here's a nifty little chart to show you all of the differences between the company's three different 3DS models. 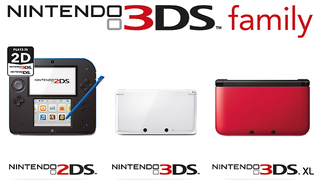 Yes, the 2DS is a 3DS model. If you find that confusing, well, you're not alone.